If you need a new bin, look no further. Maybe Oscar would be less grouchy if he lived in a nicer trash can. It may just hold waste, but don't underestimate the power of a great kitchen trash can. One of the professional organizers we interviewed loves her Rubbermaid so much she's held onto it for two decades. So, if you're in the market for a new trash can, take care in your pick. After all, you'll use it every day. 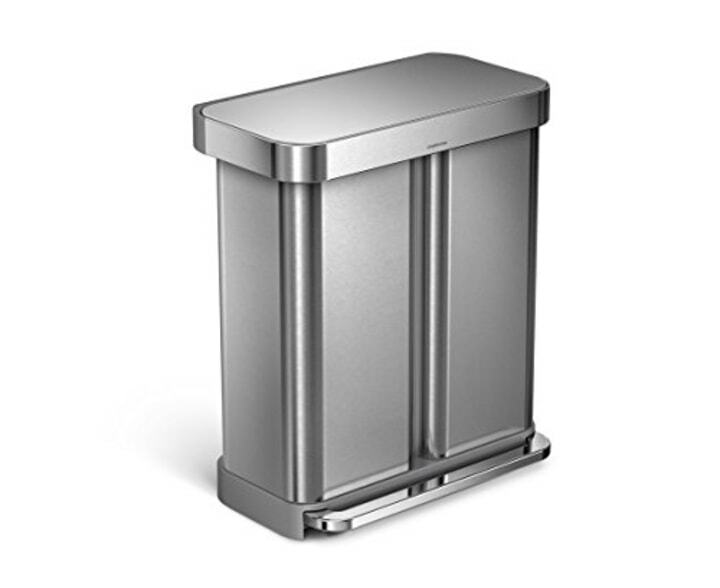 Plus, a new kitchen trash can could even increase your home's curb appeal. 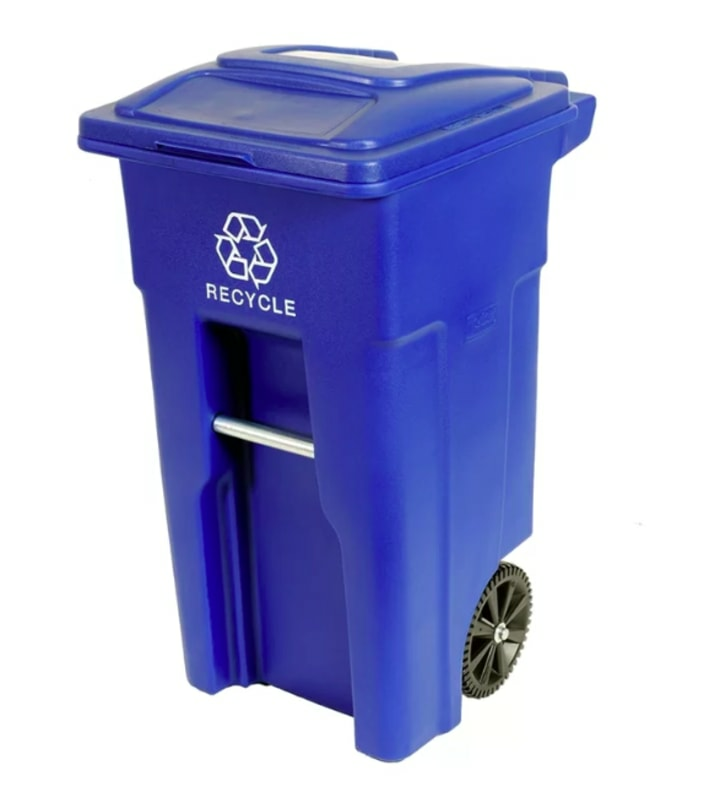 Whether you're looking for the automatic can of your dreams or something simple and collapsible to carry your recycling in, here are the trash cans the experts recommend. Darla DeMorrow's beloved trash can pre-dates her 14-year career as a professional organizer. The owner of HeartWork Organizing saysit's held up great. "It's crazy that I've used the same plastic trash can for nearly 20 years," she exclaimed. DeMorrow calls the foot pedal "a must" since it allows her to take care of dinner scraps without having to rewash her hands. She also likes that it's light enough to lift up to the sink for a "quick spray out." She estimated that her vintage Rubbermaid cost about $20 when she bought it. It's similar to this modern model with nearly 3,600 reviews and a 3.9-star rating on Amazon. "I got the single version of this trash can as a wedding present almost eight years ago and it still looks brand new," said Kim Jones, owner of L+K Home Organization in Louisville, Kentucky. She wipes it down about once a week, and unlike other stainless steel trash cans she's owned, there's no rusting or signs of age. It also still functions perfectly. Today, Jones says if she had a do-over she'd get the dual version. "We didn’t recycle as much eight years ago," said the mom of twins. "Now, we sometimes have more recycling than trash. Our current situation is our trash can and then a plastic bin that sits on the floor with recyclable. It's usually overflowing, and I can’t stand that you can see what it is in it: 'Oh hey, you all had pizza last night...'"
Ben Soreff has been a professional organizer for more than a decade. One of the trash trends he sees is going green. "These days, most households, especially if there are kids in the home, generate a lot more recycling than garbage," said the co-owner of House to Home Organizing in Connecticut. "But usually, families fail to have a proper bin." 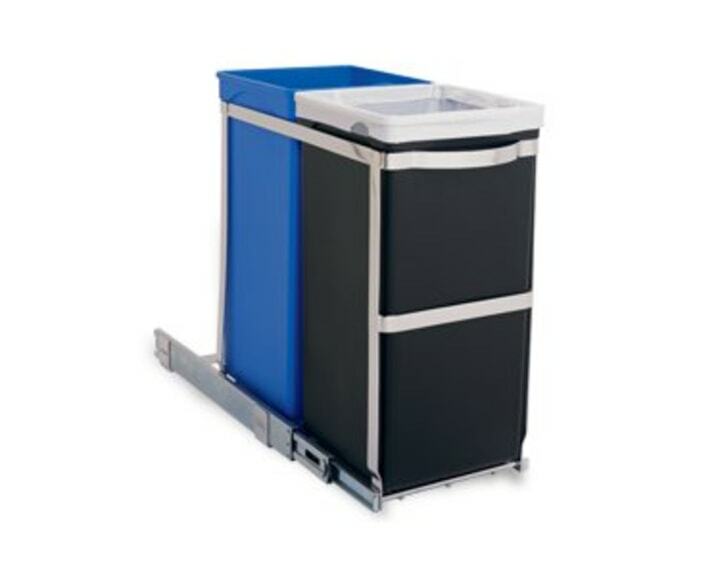 For recycling, Soreff recommends a Toter bin. It comes with a 10-year warranty and advertises the "best tilt-to-roll ratio." Maneuvering it is as easy as it gets. For clients who live in small spaces, Katie Corritori recommends Umbra's crunch can. "I can usually fit two of the small ones under a single sink," said the professional organizer and women's health coach based in Westchester County, New York. Corritori, who uses one under her own sink, also likes that even though it's canvas, it has a laminated polypropylene liner which makes it easy to wipe clean. Anna Britting's clients want their kitchen garbage hidden or "tucked away." They also want an easy installation. 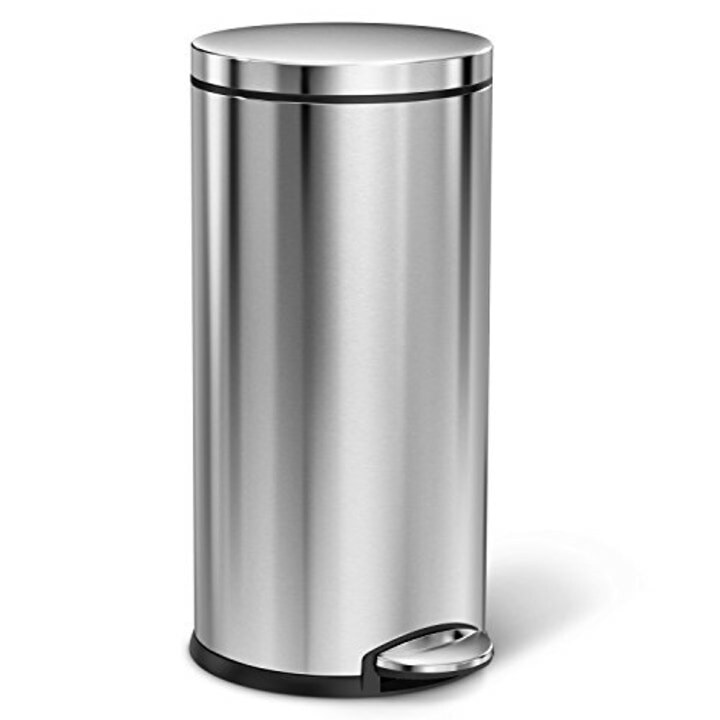 That's why the owner and operator of The Britting Group Lifestyle Management in Atlanta recommends this pull-out trash can for her clients' kitchens. It comes on a one-piece pre-assembled track boasting commercial-grade tracks. "Its standard size fits underneath most cabinets," Britting said. "This trash can/recycling combination is absolutely one of my favorites." She's not alone. From more than 400 reviews on Amazon, this model has a 4.4-star rating. Should you have any issues, it comes with a five-year warranty. 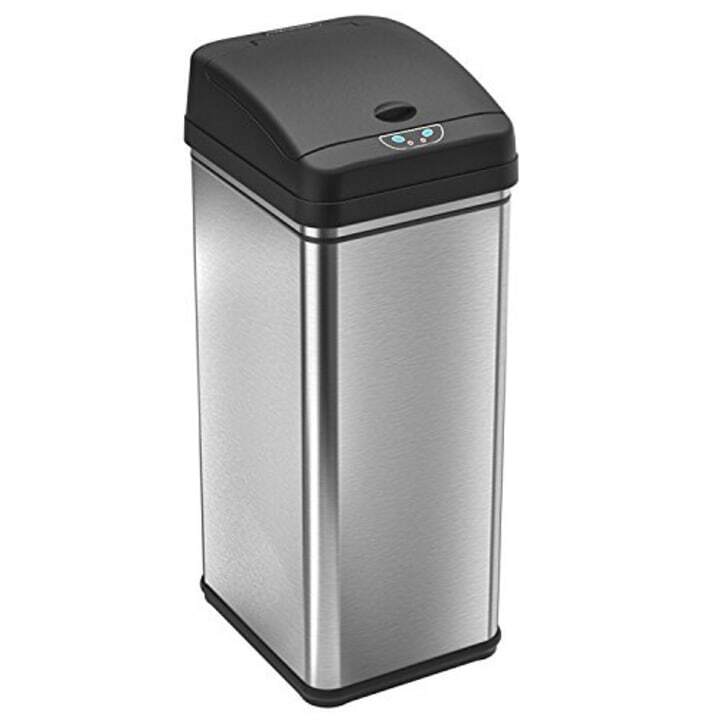 This smart trash can with more than 6,000 reviews on Amazon and an unconditional warranty doesn't even require a tap of the toe. Just wave your hand in front of the motion sensor and the lid opens. Jane Wilson, a manager at Fantastic Cleaners in Melbourne, Australia and blogger at Modern Housewives said the price is pretty reasonable when you consider the cool features, including the natural odor filter included to absorb and neutralize odors. "It contains unpleasant smells very efficiently which makes it the perfect choice for every kitchen." In fact, it's the No. 1 best-seller in the Indoor Compost Bins category. 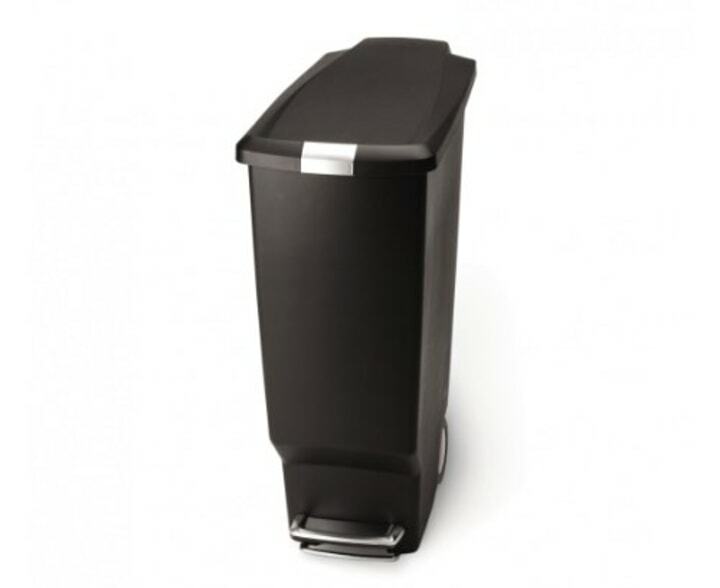 Beatriz Ramos called this slim model the "best garbage can I've ever used." She's had hers for more than four years and the foot pedal still works perfectly. 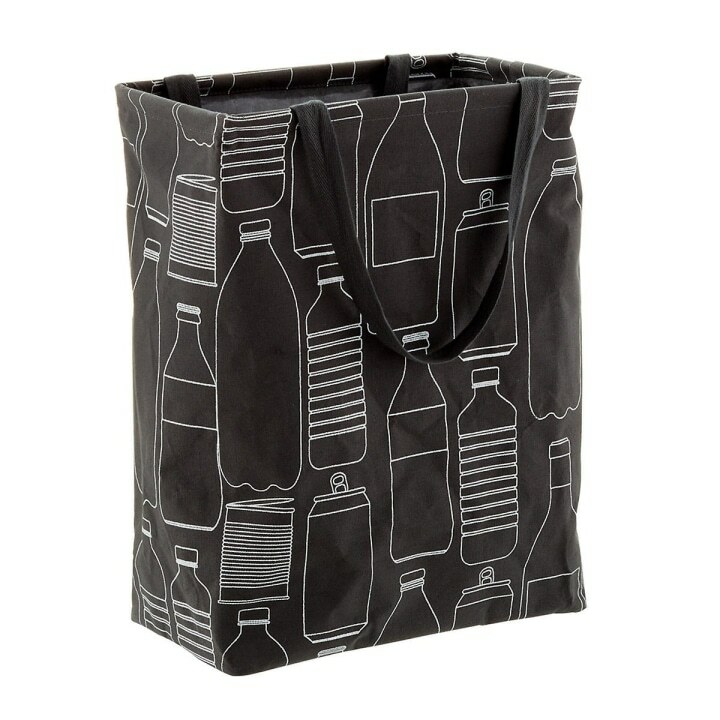 "Also, when you need to have the lid fully opened for a long period of time, simply open the lid with your hand and it will stay open until you manually close it," said the Me In Order Certified Expert Organizer®. Ramos also appreciates the slide lock which secures the lid to help keep curious pets and kids at bay. It comes in four different colors and includes a 5-year warranty.